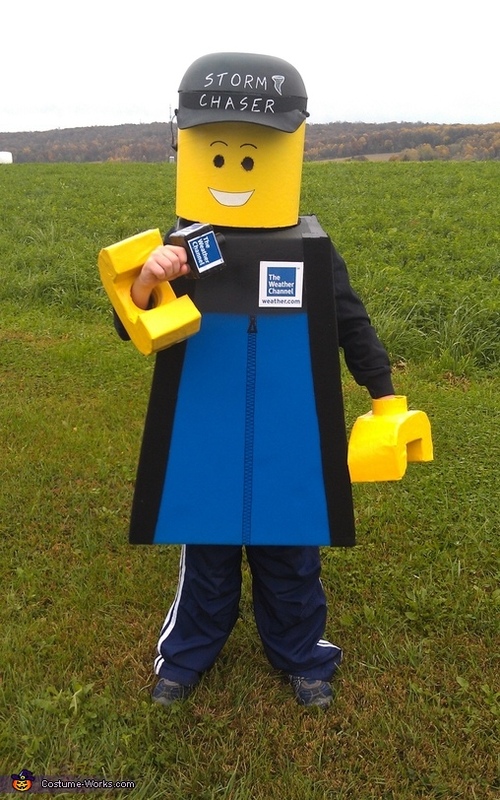 Brendan Schmalenberger is wearing this storm chaser/weather lego man costume. Brendan is 8 years old and is fascinated with the weather. He wants to be a storm chaser/meterologist when he grows up. He has to watch or have his Mommy tape everyday "Storm Stories" or any related weather story. We submitted this to The Weather Channel telling Jim Cantore to "Watch out!" Brendan's Daddy made this costume from scratch.